Manslaughter is a lesser form of homicide than murder. In fact, it is not uncommon for a defense attorneys in a murder case to request an instruction for the lesser-included offense of manslaughter during jury trial. Even though a charge of manslaughter still means that a human being has died, it is looked at from a different perspective by most prosecutors in Oklahoma. Part of that is due to the culpability factor. Another reason is due to the smaller punishment range available to the prosecution. A manslaughter defense attorney can help ensure you receive fair treatment before the law. Manslaughter is divided into first and second degree. When perpetrated without a design to effect death, and in a heat of passion, but in a cruel and unusual manner, or using a dangerous weapon; unless it is committed under such circumstances as constitute excusable or justifiable homicide. Any person guilty of manslaughter in the first degree shall be guilty of a felony. They will also face punishment in the form of imprisonment in the custody of the Department of Corrections for not less than four (4) years. There are no propitiations as to probation for those convicted of manslaughter. Second degree manslaughter is defined as every killing of one human being by the act, procurement or culpable negligence of another, which, under the provisions of this chapter, is not murder, nor manslaughter in the first degree, nor excusable nor justifiable homicide, is manslaughter in the second degree. Due to such a broad definition, prosecutors usually use Second Degree Manslaughter charges as a catch-all for criminal activity they cannot prosecute under any of the other statutes. It is not uncommon for a prosecutor to charge a death as manslaughter in the alternative when the prosecutor does not think he or she can prove murder beyond a reasonable doubt. Because the definition is so broad, it is essential to retain an attorney to help decide whether you may have a defense, excuse, or justification under the law for the killing that occurred. Anyone who is either convicted at trial or pleads guilty to second degree manslaughter will become a convicted felon and face felony conviction consequences. Moreover, they will also face a potential prison sentence of two (2) to four (4) years in the Oklahoma State Penitentiary or up to one (1) year in the county jail. The laws pertaining to vehicular manslaughter in Oklahoma are not contained in the same section as those related to first and second degree manslaughter. Consequently, many lay people and practicing attorneys as well are easily confused by Oklahoma’s “vehicular manslaughter” laws. Vehicular manslaughter, as the name suggests, involves a death that results through the use of a vehicle. That is not to be confused with a situation in which the vehicle is used as a dangerous weapon with the intent to kill someone. That fact pattern would likely lead to murder charges. No, vehicular manslaughter occurs in situations where a person, while driving their vehicle, becomes the proximate cause for the death of another. This crime most often happens when someone is not paying attention behind the wheel and caused a wreck. If the death results from a minor infraction, such as texting while driving, failure to stop at a stop sign or making an illegal turn, then the charge will most likely only be a misdemeanor. In that case, the maximum punishment a person could face would be one (1) year in county jail. 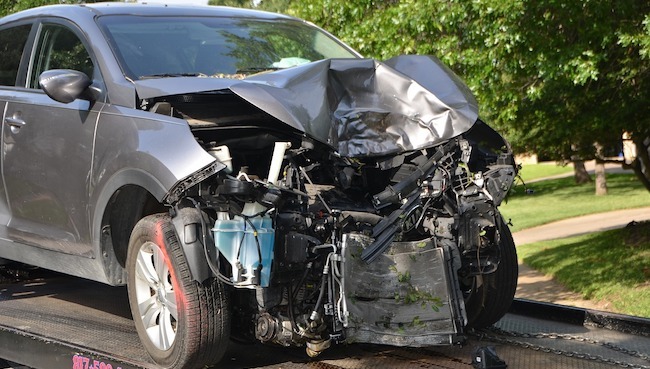 However, if the death resulted from more serious negligence or disregard for the safety of others, such as while drinking and driving, then the person causing the death could end up facing first degree manslaughter charges as described above. If you or a loved one are facing any type of manslaughter charge you should immediately consult an Oklahoma manslaughter defense lawyer at the Law Offices of Adam R. Banner, P.C. for a free case evaluation.